Is it really easy to build a cult-like following for your brand? Yes, but the core of that branding lies in the “adjective”. Yes, that very same grammar lesson you had at school. When you look at the biggest and most well-defined brands in history, you find they are defined by a single word. Let's take Volvo, for example. The word “safety” came to mind, didn't it? That's the power of the adjective. 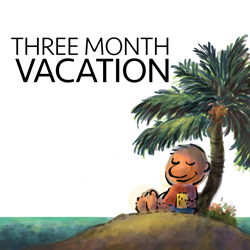 Let's learn more in this episode of the Three-Month Vacation. Part 1: What is the adjective and how one little adjective can define your business? When I was growing up in India, all plywood was sold the same way. You went to a store and you picked some plywood. Then you took it home. There was no branding; it was all very, very generic. At some point, a company called Kitply, they decided that they didn't want to be generic anymore. They decided they wanted to charge a premium on this plywood. Now why would you go and pay a premium on plywood when you could just enter the store, get your plywood just like everybody else? Well, Kitply, they wanted to do something different. That is exactly what they did. The Indian coastline, it's about 7,000 kilometers; that's about 4,500 miles. When you have a coastline that is so extensive, it also means that you have a lot of water around you. Water means humidity, and humidity means disaster for plywood, at least the plywood that you were getting in the store at that point in time. After you spent all this money on a carpenter, which is what most people did, they got a carpenter across and they built cupboards and they put the plywood in the cupboards. Then the rains would come. In India, you don't just get rains; you get rains in June, all of July, all of August, and a bit in September as well. That plywood would get all the moisture sitting in it. After a while, it would start to warp. Your beautiful cupboard, all your furniture, it would have this warped plywood. It would drive people crazy, but there was nothing that you could do until Kitply came up with a solution. They made their plywood waterproof. But Indians are a skeptical lot, and rightly so. If you've got a monsoon that goes on for several months, you want to be sure that the plywood is exceedingly good. So, Kitply not only said that their plywood was waterproof, but that it was boiling waterproof. Now no one was going to take boiling water and throw it on the plywood, but it made a point. What is the factor that caused Kitply to stand out? Incredibly, we have to go back to a grammar lesson, because what we're doing here is just looking at the adjective. What we're going to cover in this podcast are three elements. First is what is the adjective. Second: how to pick it. Third: how to refashion your product around it. Let's start off with the first one, which is what is the adjective. Now, I don't have to tell you what an adjective is. You did that in grammar class. But here's the point. When we started out the article writing course it was very difficult for us to position it against other article writing courses, because ours is almost $3,000 and, well, the others are $400 and $500. Some are even free. What we did was we put one little adjective. We called it The Toughest Writing Course in the World. That changed everything. Because not only did it change us, but it changed the perception of all the customers that were going to buy into that course. They knew that it wasn't a stroll in the park. They knew that they were to expect a lot of work and effort going into that course. That one little adjective made all the difference. This is what you need to do for your business as well. You need one little adjective to define your business. What is this business all about? When we look at a brand like Volvo for instance, immediately an adjective comes to mind, doesn't it? It's safety. Now Volvo hasn't really pushed this concept of safety for a long, long time, and yet we remember it. We remember it because of that one adjective, which was safety. If you go and read any of a dozen books, you'll find another case study showing up, which is Domino's Pizza. Now Domino's Pizza has not advertised its speed for a very long time. That is because every pizza parlor will deliver it very quickly. But it still helped them make it a billion dollar brand all on the basis of one adjective, which was speed. Adjectives play an extremely important roll, and what we've got to figure out is how do we create our adjective. This takes us to the second part, where we're going to explore how we get to this adjective. One of the big mistakes that people do when they're coming up with their adjective is they sit down with their company, their brand, and they try to come up with an adjective for the company. At this point in time, that's not really what you want to do. You want to come up with an adjective for a product or a service and not for your company, because your company has so much ego, so much of your ego invested in it, that it is difficult to nail down an adjective. You want to start off really simply by working with a product or a service. When we started out, we didn't do Psychotactics. We started out with something like the article writing course. What you need to do next is to make sure that you sit down and write about ten adjectives for that product or service, whatever it is. Just write down those ten adjectives, and then you cross out seven. This is not going to be easy, but cross out seven. You're left with three. Out of those three, you cross out two. This is going to be extremely difficult because you think it's this and that and that, but you want to cross out two. That leaves you with just one adjective. That defines your product or your service. Now most people go through this procedure in one of two ways. One is absolute fluke, and the second is this organized system of ten and three and one. When we did the article writing course, we didn't go through this whole system of ten and three and one because a customer, she suggested that it was the toughest writing course in the world, so we adopted that adjective. It became that pivotal point, that pivotal turning point where the course started to get more customers simply based on that one adjective. They wanted to sign up because it was difficult, not because it was easy. This gives us a good chance to actually compare one course with the other. We also have a copywriting course. Now the copywriting course doesn't have an adjective. When you describe the article writing course you say it's the toughest course in the world. When you describe the copywriting course, you go, “Um, uh, wait. I … ” You're lost for words. This is what the adjective does. It boils it down to one single world, but it does so much more because everything extends from there. This is what we're going to do in the third part. We're going to look at how it becomes the DNA of your product or service, and how you can build out from there, how it creates this whole structure, this whole ecosystem around your product and service. Let's go to the third part, which is how do we expand it further so that it becomes your whole DNA. When we just look at the adjective like safety or speed, it doesn't mean anything. When we look at safety and we look at how do we make this car really safe, then we get to what Volvo has done over the years. They've created seat belts and crumple zones and crash test dummies and a whole range of safety devices for your car. So they are known for their safety, and the kind of people that buy a Volvo are those who are obsessed with safety. The whole ecosystem grew around that one adjective. When you look at brands around you, you start to notice that it's not just Volvo and Domino's and the article writing course, but when you look at the Benjamin. This is the Benjamin Hotel in New York. They are focused on a good night's sleep. It's restfulness that's their adjective. They have all kinds of pillows. They have a sleep concierge. They have cakes and stuff that help you sleep better, and they'll even give you a guarantee if you don't get a good night's sleep, even if someone else is drilling in the building next door. Everything they do is built around that one concept of sleep, that one adjective of restfulness. When I was growing up in India we had a television. It was called Onida TV. When they launched that TV, the slogan was “Neighbours envy and owner's pride.” They didn't talk about the features of the TV, the size of the TV, nothing. 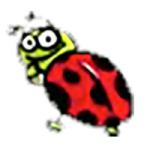 It was just this devil the whole time, this sneaky little devil. He showed up on the screen and he did all kinds of antics. At the end of it, it was just about envy. They didn't talk about anything. That one adjective made Onida one of the largest-selling televisions in India. We live in New Zealand, as you know. If you think of New Zealand, what do you think of? You think of beauty. You think of purity. That's what New Zealand is all about. It's 100% pure. That's what their advertising and marketing is all about. That's their adjective. But that's not what New Zealand had about a hundred years ago. Their slogan was about cure, not pure. You came here for health benefits, not to go around and look at the waterfalls and go over the mountains and do all those fabulous things that you can do in New Zealand. That adjective can change over time. Funny, no one even noticed, did they? In fact, some adjectives are under the radar. You look at Facebook for instance, and you think what could be the adjective for Facebook. But it's very obvious, isn't it? It's sticky. Everything they do is designed to make you get back to Facebook. Recently they even made you, forced you to get the Messenger app if you wanted to get some of the messages that friends would send to you. Why did they do that? Because if you didn't go to Facebook, you'd probably miss out on the messages. If you had the Messenger app, that would pop up on your phone and you'd see it, so it would pull you back to the site. Facebook is all about stickiness. It's about going there several times a day, being addicted to it, communicating with your friends, doing whatever you have to do, but you have to go back to Facebook. It's an addiction. When you think of Amazon, you think wow, that's a great selection. Maybe that is their adjective. But no, it's below the radar. Amazon's entire business is built around speed. They have two-day shipping, one-day shipping. This time I was in the United States and I was in Washington D.C. I had bought this mic that I'm using right now. Well not quite, I had ordered the wrong mic. It got shipped in and then I wanted to return it, so I did. I packed it up and I was waiting for the courier to come in. By the time the courier came in, the new mic had already been delivered. There's an adjective in place even though we might not see as part of the slogan. Sometimes you can have an adjective that is defined by the title. For instance, when I wrote Dartboard Pricing, the concept of dartboard itself talks about something that is unusual, that is kind of random. That gives it that adjective. It gives it that curiosity factor, and it attracts you to that product or to that service. Now, the question does arise: can this adjective last forever? In most cases it can go for a very, very long time. In Domino's Pizza's case, it didn't last forever, but they're still a billion dollar brand. When you are selling your products or services, it's critical to have this adjective because this is what we do in normal life. We describe other people. We describe places. We describe movies. We describe products. When you have that adjective in place, it not only helps to create that description, but it becomes the DNA for your product or service. The reason why you see so many products and services without any game plan is simply because they don't have this simple grammar lesson in place: the adjective. Once you have the adjective, everything builds around it. That is really what we've covered today. In part one we just looked at the fact that our grammar lesson was very important. We needed to have an adjective. In part two we looked at the fact that we could probably list ten adjectives and then get rid of seven, and then get rid of another two until we had a single adjective. Finally, we looked at all of these products and services like the Benjamin, and Onida, and New Zealand, and Amazon, and Facebook. There are dozens of examples of very successful brands. At the core of them is the DNA. At the core of them is this factor of the adjective and how the whole ecosystem is built around this one adjective. If you're wondering what is the adjective for Psychotactics, well, there is an adjective for the brand itself. The adjective for Psychotactics is elegance. When you buy a product or a service from Psychotactics, you experience that elegance. There is an elegance int system which goes with very tiny increments. There's an elegance in the cartoons. There's an elegance in the way the text is written. The same thing applies to the podcast. There is the music and the way the whole podcast is recorded. We're always working towards that elegance. But on a ground level, every product and every service is going to need their own adjective as well. Yes, your company is going to need some kind of adjective. It's not critical right now but it's going to need it over time, and you're going to have to bring out that adjective in your marketing material. Which we haven't done, by the way, but we will once the new website is up. Companies need the adjective but every product and every service is going to need the adjective as well. That brings us to the end of this podcast. I hope you've enjoyed it. If you do enjoy it, then share it with your friends. Talk about it on Twitter or Facebook. That will really help. Leave a review on iTunes; it really helps us. What's happening in Psychotactics land? Well, you can still get the Dartboard Pricing at whatever we launched it at. We're going to have the sales page up, so if you want to get it quickly, go to psychotactics.com/ttc. 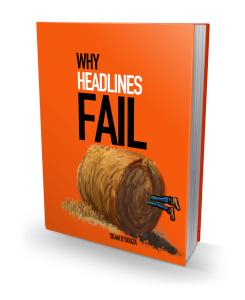 You can also join the headline writing course or become a headline trainer. That's at the end of this month, so you want to be on the Psychotactics mailing list if you want to get these notifications, because the courses fill up pretty quickly. You can find me at sean@psychotactics.com or Twitter @Sean D'Souza, and at Facebook at Sean D'Souza. Very, very sticky place, but I'm getting out of the sticky zone and I'm going for my walk. That's me from the Three Month Vacation and psychotactics.com.